Steam Link: How to transfer games to any room in your home? Home / Tips and Tricks / Steam Link: How to transfer games to any room in your home? What happens if you play on your desktop Windows PC, but want to continue the game from another part of the house – or even outside the home? If you use Steam, Valve's PC game target, you can get round the first part of this dilemma by using Steam Link, a home streaming solution that uses your local area network. And now there is a way around the second – with some reservations. Valve has perfected its in-home streaming solution for five years. Therefore, the setup process is polished up. With the Steam Link Anywhere feature, which is part of the latest Steam Link beta release (and announced just last month), you can stream your game from anywhere with an Android device or a Steam Link box with an internet connection. For now, this is a feature that works best for power users. So do not be surprised if you can not get it to work well. In addition, the mobile app is currently only available for Android devices (sorry iOS users). So let's set up steam game streaming from one PC to another or between your PC and your Android phone. Make sure you have a good router or wired Ethernet. 1; if the WLAN is weak, slow, congested or too large interference, you will not see great results. 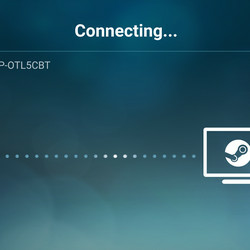 With a wired Ethernet connection, steam streaming can feel virtually seamless, but with a bad wireless connection, it's completely unplayable. Just think about it. 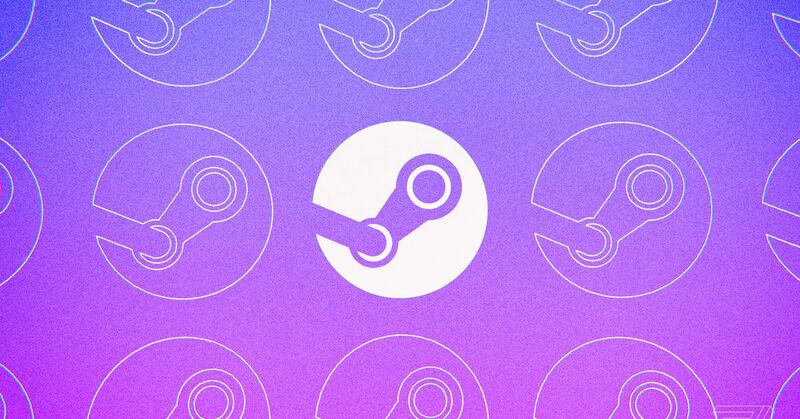 Before you stream (at home or otherwise), you probably want to download the beta Version of the Steam desktop client for the latest experience. If you want to stream games to your phone, download the Steam Link beta client to your Android phone from this Google Play store link. If you are streaming to another Windows computer, all you have to do is install the Steam beta client there without the need for additional software. Next, upgrade your desktop Steam client to the beta build (it should be dated March 13 or later). Click on "Steam" in the upper left corner of the client window. Select Settings> Account and click the Modify button under "Beta Participation". Select "Steam Beta Update" from the drop-down menu. Confirm this selection with "OK". The Steam client is restarted. Wait for the reboot before proceeding to the next step. 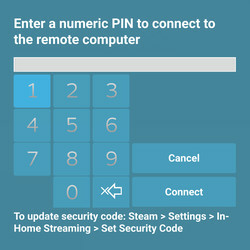 If you are streaming to an Android phone, go to the Steam Link app settings on your phone and select Other computer. A four-digit PIN is displayed on the screen, which you enter on the desktop to complete the process of pairing. If you use two PCs, you do not need to pair them to stream at home. Just sign in to the same account on the same network. Using the Desktop Steam Client, in the In-Home Streaming menu, select "Pair Steam Link" and enter the code displayed on your phone. Make sure you are on the same network and follow the setup wizard until the pairing process is complete. On the same In-Home Streaming preference page (within the Beta Desktop Client), select the Set Security Code button. Next, set one Enter the four-digit PIN in both fields and click the "OK" button. 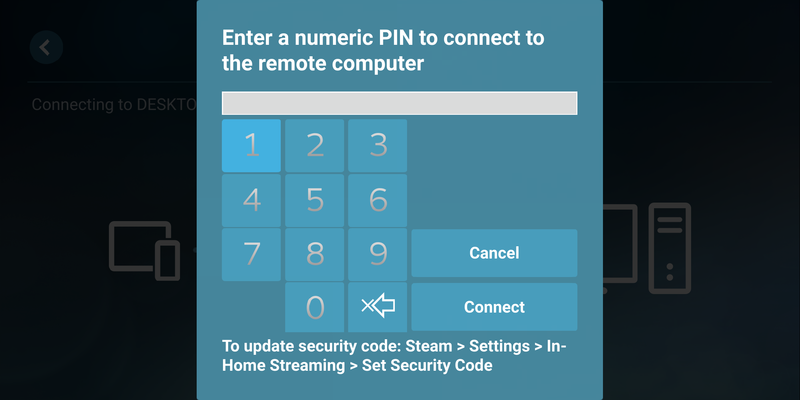 From now on, whenever you try to stream at home or from a remote location, you must enter the PIN. You have completed the beta setup process! As long as you're signed in to both Steam clients, you should be able to use Steam Link streaming quickly if you're on your own local network – or over the public Internet from your phone. More on that below. Entering the Steam Link PIN on the phone. Connect to host PC via Steam Link Anywhere. First, you need an internet connection with excellent upload speeds . Even if Comcast offers you 150 MBit / s less, uploads at 5 MBit / s will not be enough if you upload a high-resolution video stream to the cloud. If you think you have this connection and your devices are paired (see previous steps), you can start streaming games over the Internet. Currently, Steam Link Anywhere does not support PC-to-PC streaming, but you can use it with your Steam Link hardware or your Android phone. 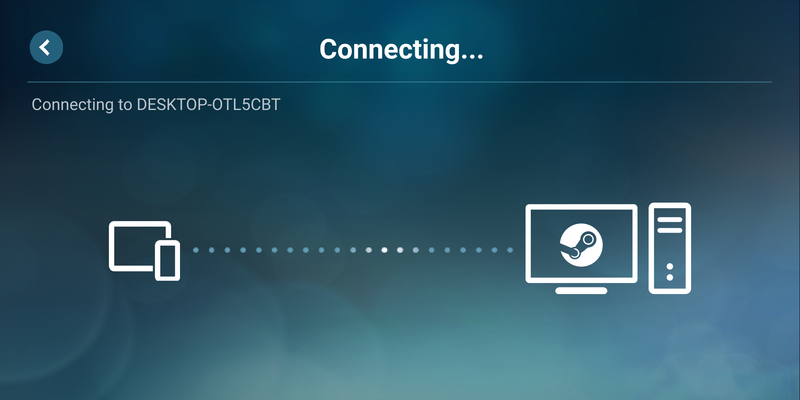 To stream cell phones, launch the Steam Link Android app and select the previously added computer. Select "Start Playing", enter your four-digit PIN and press "Connect." If you are not sleeping, you should switch to Steam Big Picture mode and simultaneously stream to your computer Deliver the phone. In my experience, there is a slight delay in camera and input control when used over an LTE connection on the mobile phone. However, this can vary depending on your network and location. In addition, you can select different control methods in the mobile Steam Link app. On the app's home screen, tap Settings, and then tap "Controller." From here, you can keep the surprisingly robust and customizable touch input from Steam or pair a controller with your phone that the host PC recognizes. Streaming games on your home network is basically the same as streaming over the Internet , You only need to be logged in to both devices (with the same account and network) on Steam (mobile or on the desktop). Incidentally, you do not need the beta client for in-home streaming. If your Windows PC (transferring the game) and your Stream destination (Android phone, another PC, etc.) are set up, just select a game from your library on the receiving device. On Windows PCs, you need to go to your game library and click "Stream" in one of your games. Just click the "Start Playing" button in the Steam Link Android app. Both the host PC and the receiver should now display identical streams of the game in question.